Using Instagram for B2B marketing is still a new concept. We polled our audience to discover top-performing posts, and which tactics lead to more attention. Instagram has become one of the 5 most popular apps on the Apple App Store and top 10 on Google Play. 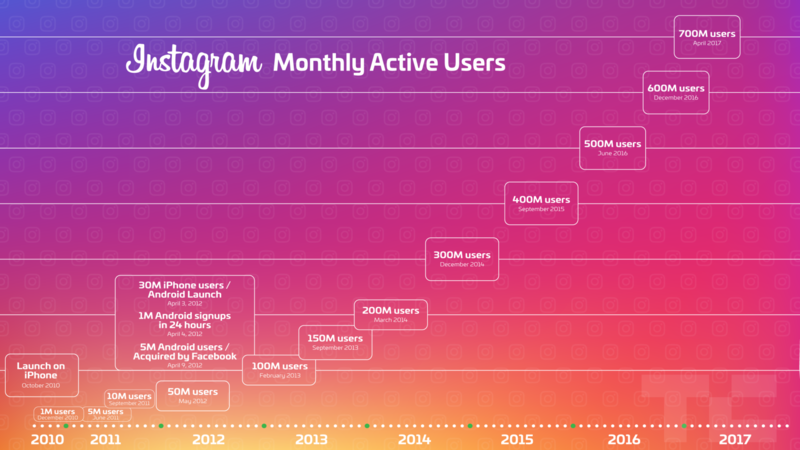 As of September 2017, it has 800 million monthly active users and it is growing at an exponential pace. And although it has become a great marketing tool for B2c brands, especially in the health and fitness space, B2B Instagram marketing strategies have not materialized in the same way. Since Instagram has such a heavy focus on visuals, marketers do not get to try all of the old tricks that they use on Twitter or Facebook. In many cases, Instagram offers a chance to stay top of mind with potential customers rather than a chance to drive site traffic. Or, it could be a recruiting tool for potential employees. We surveyed our community of B2B digital marketing leaders to discover what success looks like on Instagram. Each marketer shared the top performing post from their account and the reasons behind its popularity. Why It Worked: We are a local marketing company, so we focus on local following over large numbers. That said, being in the South we rarely post about political issues. This condemnation post over violence in the South however resonated well as it was along the same values as our target market. Why It Worked: We used our own photography for a local brand/store to help grow their online business. We used a lot of relevant hashtags for skateboarding and also marketing. We’re dedicated to our clients and love showcasing their work, something that is part of our overall strategy. We haven’t done much paid advertising since we are a newer company. Why It Worked: I mean, how can you NOT garner over 1,000 views with a face like #SaltBae’s? By taking advantage of a popular meme, already perfect for a salty parody, and pairing it with high volume hashtags, we managed to gain a lot of traction from this post. Other popular images tend to be of our pretty new office, team candids, beer, dogs, nerf gun battles, and designed illustrations of the Salted Stone crew. Why It Worked: It shows off the company culture, its an extremely visual image, it was relative as it was in-line with a cake and coffee morning. Why It Worked: Announcing that our business is expanding is always a good way to generate likes and comments. We usually hashtag with related topics and get the word out there. Why It Worked: Great professional photography was the biggest reason why this post performed so well. Also, the use of relevant hashtags contributed, as did sharing our work in the leisure industry – which not many of our followers may not think that we do. And that's a wrap on Smile Week 2017! Over the past week we had the privilege of hosting our remote employees. Having them as guests created an excited energy in our office that was organic and raw. We got to show them where we work, live and play. We got to have face to face conversations, make connections and friendships. Although saying goodbye today was hard we have created some amazing memories and lasting friendships! Why It Worked: We’ve really tried to share our people, culture & community involvement on our Instagram account. This team photo was the culmination of “Smile Week” where all our remote employees joined us in our KW office. The whole week we had been sharing updates on our Instagram feed & story, and this post was wrapping things up. Why It Worked: House and Home is one of the magazines we create and publish in-house. It’s the leading interiors magazine in Ireland and is curated by Aoife, the mag’s Online Editor. For House and Home’s 21st birthday, we did a series of illustrations called ’21 icons of the Irish home’. They were culturally relevant, evoked nostalgia, and combined the target audience’s love of home and place. Why It Worked: Animation, uniqueness. It was work for a client with a URL that linked out to the case study. Why It Worked: It’s real members of the Noisy Little Monkey team which always garners us good engagement. Crucially though, this time they’re adopting a classic pose, looking straight down the camera lens with eyes wide open and it’s the type of post we use to drive traffic to a particular blog post – so it’s not just eye-catching. We’re getting a relevant message across to our audience. It showcases our web development team in coding action; followers love to see behind the scenes. It hones in on the human aspect of our company. We focus a lot of our Instagram posts on exposing our employees and the work that they do. This, in turn, gives us an opportunity to market our business and samples of work to potential clients/customers. Why It Worked: The combination of storytelling, caps lock and emojis for intrigue, and researched hashtags that have performed well in the past. The picture is also of top-notch quality. Why It Worked: Everybody loves a good celebration, and our position on the list was news we wanted to spread across as many channels as possible. This was part of a larger campaign, even including a fun video, so we were able to take advantage of the excitement around the Inc. 500 news cycle. Why It Worked: First, the image has a clean/professional quality that differentiates itself from an average Instagram post. Further, the topic (real estate marketing) strongly resonates with our audience (real estate agents). Why It Worked: My Instagram account @tierramwilson is the #2 source of b2b leads for me, next to SEO. The reason being is because for the past year I have focused on positioning my brand as an influencer, versus spending money on influencers. That has been a VERY successful strategy for me and has paid off with me collecting an engaged audience of my targeted clients (women entrepreneurs in lifestyle industries). I currently have 18.4K followers and appx an 8% engagement rate. This post was popular because although I was promoting a recent podcast interview, I was also being relatable by showcasing my struggles with meal planning and eating healthy. The trick to IG is to be a real person and showcase authenticity in the content, but use beautiful imagery to catch your audiences eye. Why It Worked: It highlights how one of our agents successfully used our service to help serve her client. Why It Worked: This post demonstrated what we do at Margin Media and what we can achieve for our clients. The simple and eye-catching message spoke to people (particularly for the quick-scrollers through their Instagram feed). The image itself is exciting, fun, and visually arresting. Plus, a few key and industry-relevant hashtags helped as well. As you can see, most B2B marketers are not talking about leads or signups when it comes to Instagram. They are more interested in showing their human side and matching the emotions of other posts that you would expect to find in an Instagram feed. But, on the plus side, marketers have a better chance of forming a connection with prospects. If a prospect visits your website or sees your post in their Twitter feed, they may see similar content to all of your competitors and all other B2B marketers. On Instagram, the visual component allows you to add some attitude to your brand. 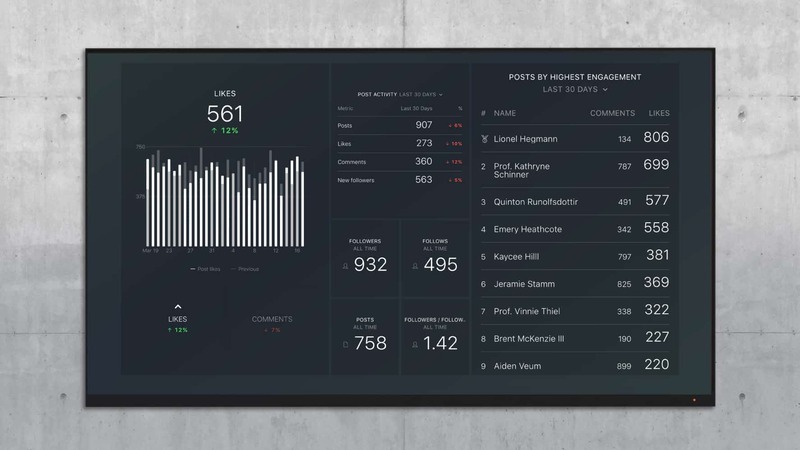 If you want to track your Instagram KPIs in real-time alongside 50+ other services, we have an Instagram template that you can use for free. You can track both overall engagement with your account, as well as the success of individual posts.